Our reader Gaga from Atlanta sent these great pictures in. Access Atlanta explains: "We’re told that the owners of the house are such "Simple Life' fans that they agreed to the retina-punishing publicity stunt. 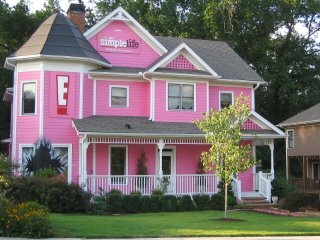 On Friday, "Simple Life" PR reps even offered media types an advance look-see at the house, where pink lemonade was served up. A “blinged-out” dog contest was also held on the grounds." 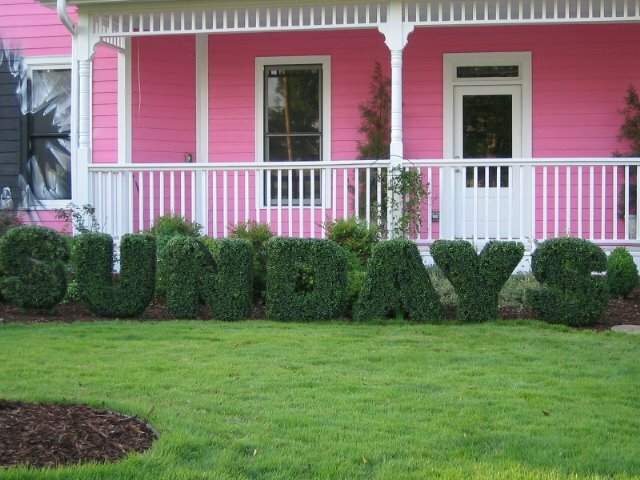 My company Steady Hand Painting painted this home. Twice. Once pepto pink and then back to its regular mustardy baby fecle color.